"Brylcreem — A Little Dab'll Do Ya! Brylcreem — You'll look so debonaire. Brylcreem — The gals'll all pursue ya; they’ll love to run their fingers through your hair!" Get with the program Elisa! 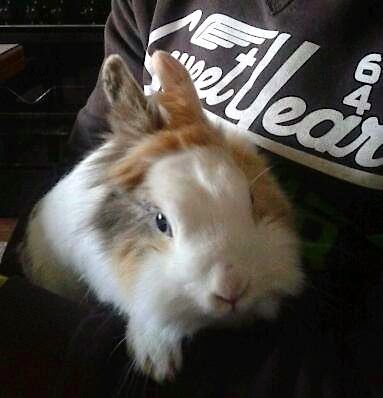 But Gigio, it's impossible for you to have a bad hare day; you're adorable no matter how gauche us hoomins may be. Beautiful bunny, rest assured that you are nonetheless gorgeous, but let's hope your hoomin can get it right next time. I haven't been visiting lately so I was delighted to find all the gorgeous rabbits waiting for me on my return, disapproving of the absence of course. Especially all the lovely Christmas photos and the Mister Bun update. Still, Gigio, you just shine through.